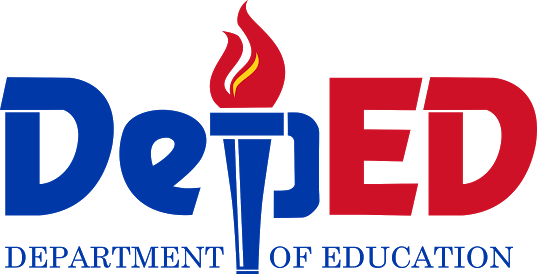 The Department of Education (DepEd) reported to the Committee on Basic Education and Culture of the House of Representatives that school-based personnel will be among the first to receive the Performance-Based Bonus (PBB) for Fiscal Year (FY) 2016 this March. As of March 5, 2018, teachers in Regions I, III, IV-A, V, XI, and XII have already received their PBB, following the Department’s receipt of certificate of compliance from the AO25 Inter-Agency Task Force (IATF) in January. “Yung iba po, within the week, or before March ends, tapos na lahat ng schools natin bago tayo pumunta sa Region, Division, and Central offices,” DepEd Undersecretary for Planning and Field Operations Jesus Mateo informed the committee members. A representative from the Department of Budget and Management’s (DBM) Organization, Position Classification, and Compensation Bureau (OPCCB) confirmed Mateo’s report and added that aside from the six regions, they are already processing the Special Allotment Release Order (SARO) for the National Capital Region (NCR) and Region II, which are set to get the incentive within the week. DBM OPCCB is also already evaluating the submission of Regions VIII, IX, X, Cordillera Administrative Region (CAR) and CARAGA, and awaiting the submission of Regions IV-B, VI, VII, and the now defunct Negros Island Region (NIR). “Lilinawin ko na ang polisiya natin dito ay inuuna natin ang mga paaralan bago ang mga opisina. Lahat ng eskwelahan dapat matingnan natin na meron bago sa field, huli ang Central,” the Undersecretary pointed out. Mateo admitted that the Department encountered challenges in the requirements for the grant of PBB, some of which include factors that the Department addressed in compliance with the PBB requirements for FY 2017. “Sa obserbasyon na ang NAT [National Achievement Test] at drop-out rate ay kasama sa performance, sa unang cycle yun ng PBB at tinanggal natin yan dahil sa maraming feedback na galing sa mga paaralan. Kung tutuusin, in-exempt po ang mga paaralan dun sa tinatawag na individual forced ranking. Tayo lang ang katangi-tanging ahensya na walang forced ranking sa school dahil saliwa ito sa school-based management,” Mateo pointed out. The AO25 Memorandum Circular (MC) 2016-1 prescribes the criteria and conditions for the grant of PBB for FY 2016. Given are the following requirements: 1) Department Performance Accomplishment Report; 2) Good Governance Conditions; 3) Public Financial Management Reports; 4) Agency Procurement Compliance and Performance; and 5) Posting of Operations Manual or ISO Certification. A government agency must be able to comply with all conditions in order to qualify for the release of PBB. The Department complied with the set criteria but had difficulty meeting the pre-conditions on the Philippine Government Electronic Procurement System (PhilGEPS), the budget utilization rate (BUR), and specific Physical Accomplishments, which nearly rendered the Department ineligible. Through the joint efforts of various delivery units within all governance levels, DepEd took significant steps and actions to overcome these impediments, and in the fourth quarter of 2017, submitted the necessary documents for approval by the DBM. The Undersecretary further noted that for the PBB FY 2017, come summer of 2018, the Department will conduct orientation on the submission for PBB. Conquer Big Days with Berocca! It’s a Galileorrific Summer 2018! Want Better Skin? Use These 7 Tips! The Mobile App Pinoy’s Can’t Live Without!